Have a friend who's really into Ayn Rand--but already owns all her books and stuff? I have a dozen or so suggestions for Xmas presents he or she might like (and some of you might want to get for yourselves) at The Objective Standard. In case you missed it, I talked this morning with A&G about these and many other things. Listen online here. The owner of one of my favorite restaurants, the Old Town Grill in Placerville, CA, was recently honored by the city. He's a great guy with a very interesting personal story, but, more importantly, makes one hell of a burger. I particularly recommend the blue cheese burger, and, when available, the clam chowder in a bread bowl. There must have been a sense among the ali‘i that they were entering dangerous waters. There were holdouts, after all. After the proclamation of ‘ai noa in November 1819, traditionalists rallied around Kamehameha’s nephew, Kekuaokalani, who clung to the old religion. A month later, he raised an army, intending to resist the government. This was no minor insurrection: Kekuaokalani expected his rebellion would lead to the overthrow of the monarchy and the massacre of all Europeans in the islands. Hoping to avert war, Ka‘ahumanu dispatched two messengers in a canoe to encourage the rebels to surrender, but just as the messengers departed, Keopuolani insisted on accompanying them. This may have doomed whatever chance the peace mission would have had, because her presence in a canoe with two men demonstrated once more that she and Ka‘ahumanu were committed to abolishing kapu forever. Kekuaokalani ordered his army to march swiftly on Kailua, hoping to capture the government leaders before they could react. But they were intercepted at a place called Kuamo‘o on the western shore of the island of Hawai‘i. In the ensuing battle, the rebels were slowly pushed back toward a sea cliff made of razor-sharp lava rocks. There they came under fire from the government’s ships, armed with muskets and cannon. Kekuaokalani and some three hundred soldiers were killed. The revolution had triumphed—and the rebels’ bodies still lie buried in a place labeled on maps as The End of The World. John Marini is among the most interesting critics of institutionalized bureaucracy, which has recently become the focus of much attention. But where books like Philip Hamburger’s Is Administrative Law Unlawful? and Michael Greve’s The Upside-Down Constitution have given us helpful insights into the practical and legal dysfunction of regulatory agencies, Marini’s Unmasking the Administrative State reaches deeper, to its philosophical roots, and reveals its profound inconsistency with the principles of the Constitution and the political system it contemplates. 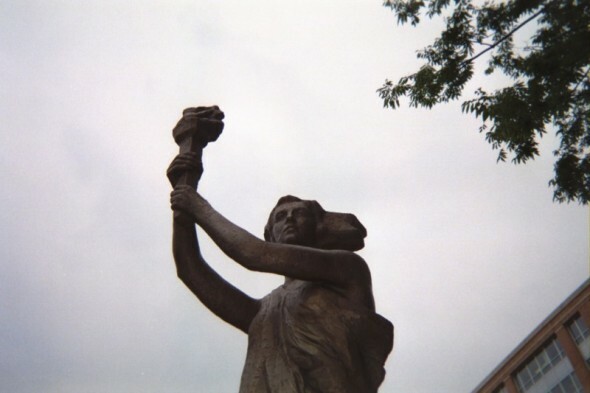 The story begins with the Progressive Era’s radical transformation—or attempted transformation—of American government from one rooted in the laws of nature and the legal protections for liberty such laws prescribe, into a purportedly more rational and scientific machine of administration, aimed at perfecting the social, economic, and political condition of humanity. As Marini explains, this transformation was based on the thought of G.W.F. Hegel, whose acolytes staffed the German graduate schools where the pioneer American Progressives got their academic training. The Hegelians based their political thought not on nature but on History, and their principle of political order was not deliberation among naturally free people about the common good; it was the manifestation of the Will in the State. The collective Will, that is; in this conception, the citizen’s “real” self consists of his role in the group, and his rights are privileges doled out by the authorities. Marini quotes one such Progressive expressing this view concisely in 1918: “Man can have no rights apart from society or independent of society or against society.” Having rejected the concept of natural rights, Progressives aimed to shape human destinies—give people, indeed, their very personalities—by redistributing rights and duties. This process, which transformed government from the servant to the master of the people, would be overseen by scientific experts in management, working for unelected bureaucracies where they would be insulated from the irrationalities of politics. In Marini’s view, the Administrative State is a legacy of this radical change to the American political system—a change so drastic that Congress today functions primarily as a watchdog, overseeing the bureaucratic perpetual motion machine. Courts contribute by conceding the legal validity of these agencies in exchange for the opportunity to occasionally tinker with the details of how they operate. But the vision of Congress writing bills, deliberating about their moral and practical consequences, and enacting them, has been replaced by a system in which agencies are commissioned to do good generally—and are left free to work out the messy details. 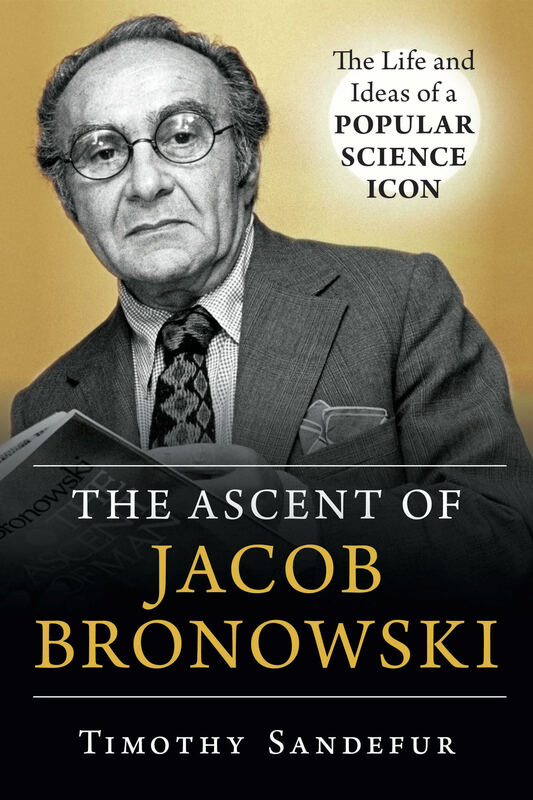 The publication date of my forthcoming book, The Ascent of Jacob Bronowski, has been pushed back to May 14, 2019. I’m heartily sick of the smug self-righteousness masquerading as constitutional debate over the question of birthright citizenship. It’s not a simple case—on the contrary, the arguments on both sides balance each other out quite effectively, resulting in something like the Quinian Crossword, which can be filled out two different ways, both of them right. Instead of getting serious discussion, though, we’re getting a lot of puffery about how the Trump Administration’s argument is obviously silly and stupid. It’s not. Those opposed to the Administration’s position have good arguments at their disposal. They need to start using them. Here’s what the argument is about: the Fourteenth Amendment says that people born in the United States “and subject to the jurisdiction thereof” are automatically citizens. The Administration’s position is that this phrase excludes children born to persons residing illegally in the United States. So the question is, what does this phrase “subject to the jurisdiction thereof” mean? It’s got to mean something. And the fact that it must mean something proves that not every person born in the United States is automatically a citizen. All sides agree that the phrase “subject to the jurisdiction thereof” excluded, at a minimum, children of foreign ambassadors and (at least until 1924), children born to members of Indian tribes. These persons were not born “subject to the jurisdiction” of the United States. This is not surprising. Lawyers deal with different definitions of “jurisdiction” all the time. Personal jurisdiction, subject matter jurisdiction, legislative jurisdiction, adjudicative jurisdiction. The idea that there’s a citizenship jurisdiction (or maybe call it “allegiance jurisdiction”) and a non-citizenship jurisdiction is not at all unreasonable: foreign citizens, for example, cannot be convicted of treason, because they owe no allegiance to the United States. Instead they can be convicted only of sabotage or espionage. When I travel to Italy, I’m required to follow Italian traffic laws. But I am not allowed to vote. In Indian law, the difference between adjudicative jurisdiction (power of tribal courts to resolve legal disputes) and legislative jurisdiction (power of a tribe to pass laws) is a common one.